Holla! 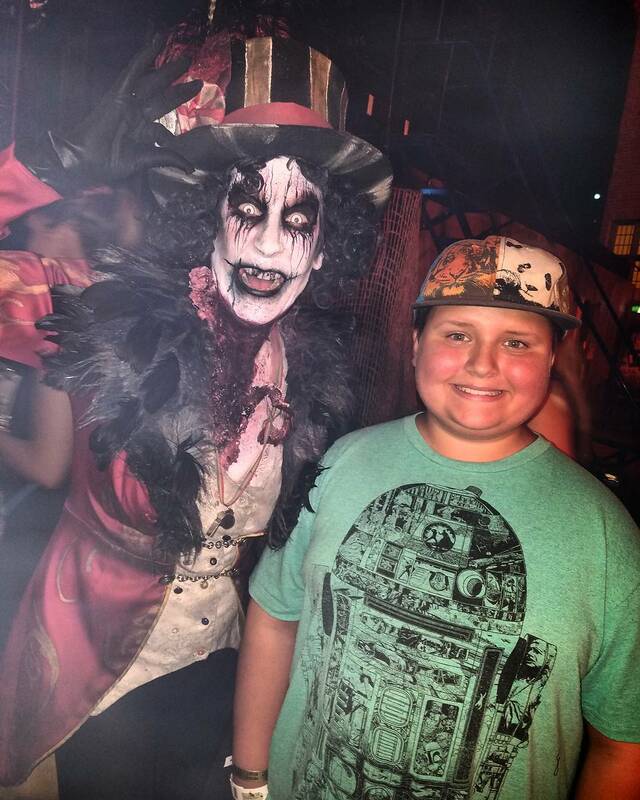 Look away if you're easily creeped out :D I took my favorite son to his first scary event at the Queen Mary Dark Harbor. It was so fun to go together and be creeped out and have a blast together. JT was one brave dude and took lots of pictures with the scary characters that haunt Dark Harbor and went through the Soulmate maze with me. I can't wait to go with him again next year!